You know that phrase you sometimes hear your coach roll out, when you’re attempting something challenging? Maybe making a three-point jump-shot or turning a 6-4-3 double play? “This ain’t rocket science!” Your face reddens. You redouble your efforts and try again. And again. There’s a reason why it stings. You know what you’re trying to do is not so difficult. Lots of people have done it before you. But rocket science! Rocket science is hard. Really hard. So hard that we use it as the stick by which we measure all other difficult challenges. 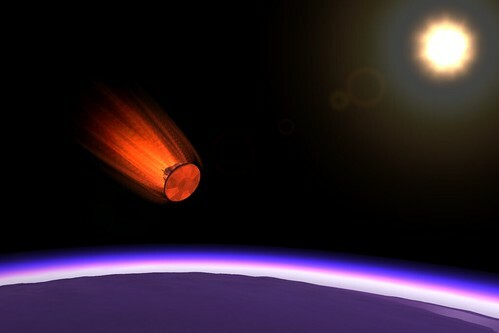 Spaceflight has fascinated me for a long time. That’s not really surprising. You grow up in the space age, and such fascinations are bound to happen to a few of us. That fascination has extended into a lot of different interests and hobbies. My most recent engagement with spaceflight came on the heels of NASA’s announcement of liquid water on Saturn’s moon Enceladus. 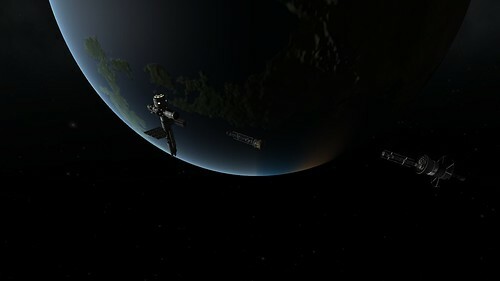 I started playing Kerbal Space Program. 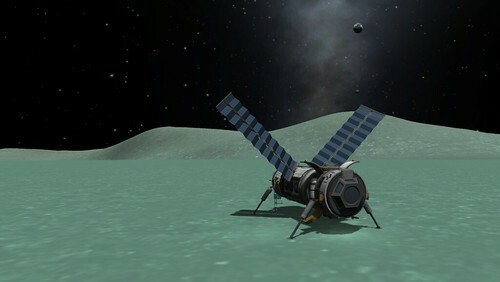 KSP is a sandbox game currently in development. 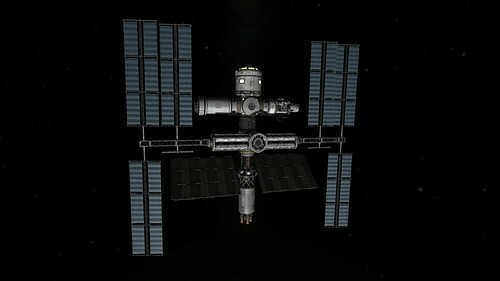 As a player, you control a nascent space program operated by Kerbals (rhymes with gerbils), a race of small green humanoids, who have constructed a fully functional spaceport, Kerbal Space Center. KSC bears a striking resemblance to Kennedy Space Center back here on Earth. 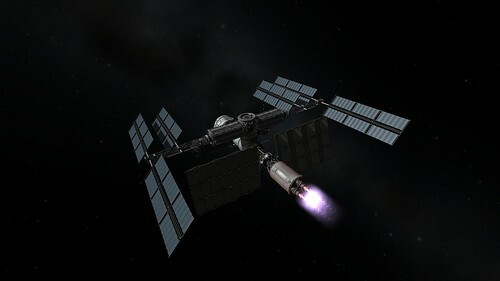 At KSP, you build rockets and spaceplanes. 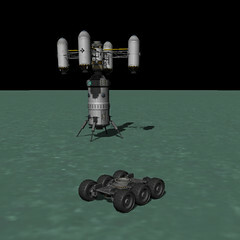 You stage them on the pad and hit ignition. 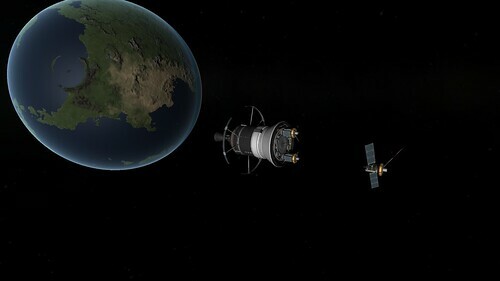 Once you’re in flight, you execute the proper maneuvers to establish your desired orbits. 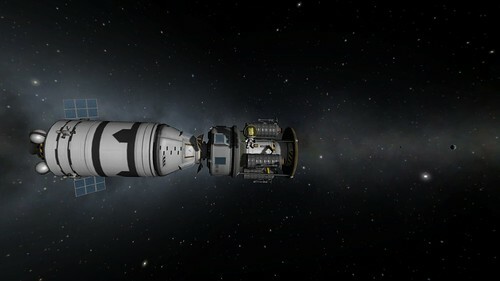 KSP uses a very sophisticated physics engine to model all of this: thrust, drag, aerodynamic forces, material strengths are all accurately represented. 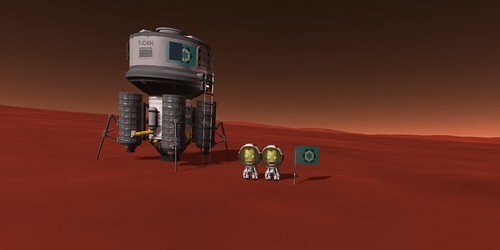 Planets have different atmospheres that affect the efficiency of wings and parachutes. 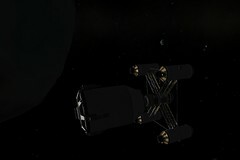 The physics engine is accurate enough that real-world spaceflight techniques are viable methods to get around. 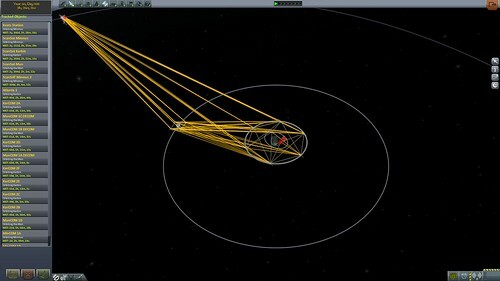 For example, you use Hohmann transfer orbits to transit the Mun and aerobraking to return to Kerbin. 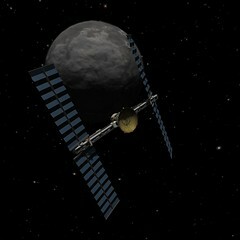 Gravity-assist slingshots, geosynchronous orbits, and orbital docking maneuvers are all possible. 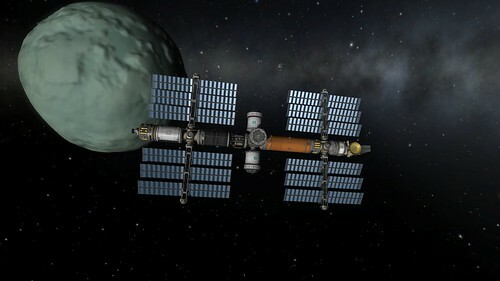 It’s fascinating and extremely empowering to have the entire solar system at your fingertips. It is also extremely humbling. When I began playing, I roughly modeled my attempts after the historical progression. Could I get a rocket off the ground? 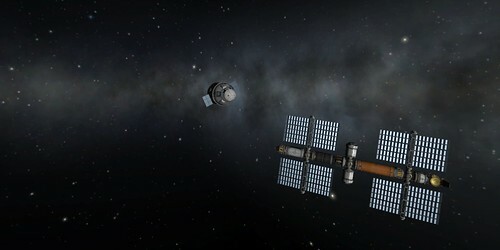 Could I establish a stable orbit? 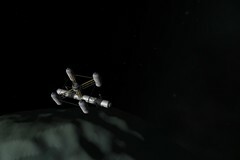 Could I establish a polar orbit? 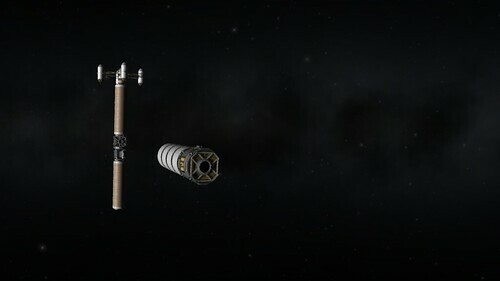 Could I start in one orbit and move to another? I tried these things– and failed more than a few times– while being fully aware that I was reproducing experiments with more than half a century of real world spaceflight experience to support me. The technological advancements in computing in that same time interval are also immense. But that doesn’t make things any easier. Even with the deck stacked so far in my favor, the most basic tasks were challenging. I’m emphasizing this to reinforce just how difficult spaceflight is. And how rewarding it can be when it succeeds. 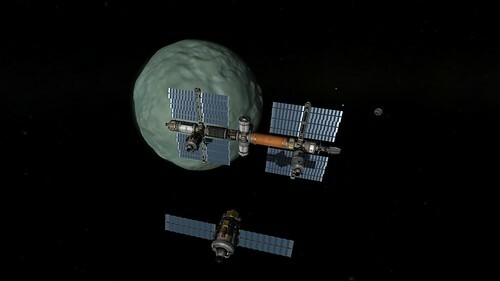 Kerbal Space Program makes these points with crystal clarity. It’s an extremely challenging, and thus extremely rewarding sandbox to play in and it has completely captured my imagination. There was a time in world history when rocket scientists were heroes, and I wonder sometimes if the lustre of their accomplishments has been lost. Do we now think of GPS satellites and pictures of Titan as somehow ordinary– pedestrian. 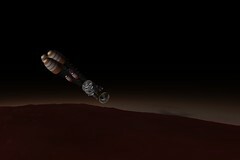 My enthusiasm about a manned mission to Mars is, in part, an attempt to enkindle human imagination toward a seemingly impossible goal and then achieve it. When I started writing this post, I started making a list of space-related points of my childhood. My sister’s birthday is the second anniversary of the Apollo 11 moon landing. In grade school, I had a Space:1999 metal lunch box. I designed and built my own LEGO models of the Apollo Command Module and Lunar Lander. My friend Jim and I flew Estes rockets, and even took a trip to Penrose to the company headquarters for specific kits. In 1980, I watched Carl Sagan on Cosmos on PBS; I read the book the next summer, and still own it. I still have a copy of the Feb 10, 1986 Time magazine the cover of which is the dramatic photograph of the Challenger shuttle explosion. In the last couple years, Mooch and I have played several sessions of High Frontier, a spaceflight boardgame by Phil Eklund. When Eklund is not working as a game designer, he works as an aerospace engineer and rocket scientist. Smokes and I watched live as Felix Baumgartner broke the sound barrier in freefall during the Red Bull Stratos project. And just today, Randall Munroe commented in his webcomic xkcd on his dramatic increase in understanding orbital mechanics through playing KSP despite the fact that he worked at NASA for several years. So now I’m looking to the heavens. 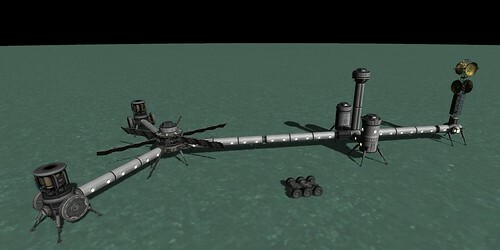 I’m queueing up “An der schönen blauen Donau” by Johann Strauss, strapping my Kerbals into their command module and lighting the fuse. Come with me. I learned about Tom Bissell and the publication of his book Extra Lives by listening to Michael Abbott and his “Brainy Gamer” podcast. In June’s episode, Abbott spent the majority of the episode interviewing Bissell about the idea of video game criticism in general and writing the book in specific. Since reading “The Lester Bangs of Video Games” by Chuck Klosterman in Esquire in 2006, I have quietly tried to see if any authentic voice has risen to the challenge. Have we finally found a voice that specializes in explaining what playing a given game feels like? Or provides meaningful analysis of what a game mean in a context outside of the game itself? Okay, now that I have digressed rather far afield, let me get back to the topic at hand, namely the book Extra Lives by Tom Bissell. Well, maybe not. I mean, I’ve given you enough leads to start your own discussion about the roles of video games in education, art, literature, entertainment, business and attention deficit disorder-derived hysteria. My work here is done. Besides, I’ve got a book to read. Parts memoir, criticism and reportage, freely mixing the high with the low, Extra Lives channels the author’s intimate history with games into something richer. At its simplest, the book charmingly informs us about the massive complexity and taxing labor entailed in producing a marquee title like Gears of War or Fable II . At its finest, Bissell’s book is a thrilling attempt at providing a critical framework for understanding and judging video games. [….] Lauding the medium’s great achievements and sharing his irritation with its longstanding flaw, Bissell makes a convincing case that video games are inching toward art, if not some mind-bending realm. Extra Lives , thanks to its insight and passion, may well end up providing one great push toward that end. Tim Schafer loves heavy metal music. He loves the history, the power, the imagery, the scale and the ridiculousness of it all. He has channeled this love into the video game Brütal Legend, released this week: Rocktober 13th. I have been anxiously awaiting this game since I learned of its development a couple years ago. My excitement has two sources: First, I think Tim Schafer’s last game, Psychonauts, was one of the best games for the last generation of game consoles. Second, the particular focus of this game is something I’ve never seen in a game before. Not even the success of the Harmonix Guitar Hero and Rock Band games can approach either the breadth or depth of Brütal Legend with respect to heavy metal. I must pause here to acknowledge an observation Vern, one of my high school friends, made many years ago. Whenever I talk music with people, his words come back to me. Vern suggested that all boys go through a metal phase. For some, this phase lasts a few weeks (or even just a few hours). For many boys the phase lasts a few crucial years between the ages of eleven and seventeen. For some, the phase never ends. Vern does not pass judgment on any of this. He does not use it to be particularly divisive or exclusive. At the time he said it, Vern was fifteen and intoxicated by Elvis. Two years earlier we had been screaming along with the rest of the fans at the Scorpions concert at the State Fair Grounds celebrating part of our own metal phases. The game portrays an incredible amount of affection for heavy metal, a fact that has attracted a startling number of entertainers to be part of it. Lemmy Kilmister, Rob Halford, Ozzy Osbourne and Lita Ford all provide voice talent. Over 100 different artists from a huge variety of metal genres have contributed music to the soundtrack. The game is fantastically clever. The game is funny. The game is stylized and dramatic and epic. It is all of these things and at the same time Schafer is aware of the absurdity of metal as well. It has a sense of itself as a game. He does not allow the genre to take itself too seriously. It’s a lesson we could all stand to remember from time to time. In following with my return to science fiction, I have picked up the critically acclaimed BioWare action RPG, Mass Effect. I have not written much about video games since my departure from Midway a year ago. Whirl and I did pick up an Xbox 360 and an HD-capable television last summer. Whirl has been playing more games than I have, to tell the truth. I wonder if I needed to get some time away from them after the five years working in the industry. Mass Effect is something of a catalyst to return. I have enjoyed a number of BioWare games over the years, most notably Baldur’s Gate, Neverwinter Nights and Jade Empire. Mass Effect has won a number of awards and received very high reviews from a number of critics, including “Game of the Year” from the New York Times and “RPG of the Year” from the Academy of Interactive Arts & Sciences. The inclusion of voice talent from Lance Henriksen (Aliens), Marina Sirtis (“Star Trek: The Next Generation”), and Seth Green (“Buffy the Vampire Slayer”) add to the significance of this piece of entertainment. The cinematic design is nothing short of masterful. This is a game that takes the aspects of film that make cinema so compelling and crosses it with the interactivity of games with unprecedented success. Linear storytelling feels quaint by comparison. Far from being a ponderous sci-fi exposition, Mass Effect boasts a dynamic, well-constructed story with a broad emotional range. I have been looking forward to playing this game since I first heard of its development. Jade Empire was an incredibly fun game with high replay value. This is all of that, plus being on the X360 console and being science fiction. In honor of John K’s new X-box 360, I’d like to share a one of my favorite memories regarding video gaming with John and company over the years. The following took place years ago and is, perhaps, my earliest memory of playing a video game with this group. I played Myth all the way through without one, single casualty using a combination of advanced strategy, astounding patience, cunning and meticulous use of level replay over and over and over until my stats were completely perfect. As I finished the game, John decided we should link up online with Mick and try some group missions, so Sean set up our end and we all convened one fateful evening.